Aston Barclay has installed twin electric vehicle chargers across its network to ensure the company is fully prepared for the growing number of electric and plug-in hybrid models set to through the auction halls. Introduced at its centres in Chelmsford, Donington Park, Leeds, Prees Heath and Westbury, the new fast charging units from Rolec enable the company to ensure electric/plug-in hybrid vehicles can be charged up. The firm said that although all vehicle systems are checked thoroughly before they head through the auction hall under its Assured inspection service, electric/plug-in hybrid vehicles arrive at site on a vehicle transporter, often with no charge. 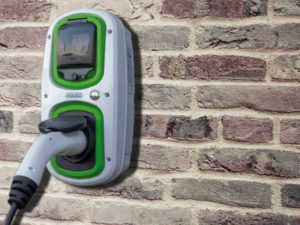 The units, installed by Crewe-based Renew Electrical, are Rolec WallPod Commercial Charge 32A units with full Mode 3 fast charging capability. “We are just starting to see the number of hybrids and EVs being sent to auction slowly increase so we wanted to make sure we were well prepared for when used volumes start to further grow. Having twin chargers on every site also means buyers or vendors can charge their car while they are with us,” explained Martin Potter, Aston Barclay’s group operations director.